You will arrive as a customer and always leave as a friend!!! 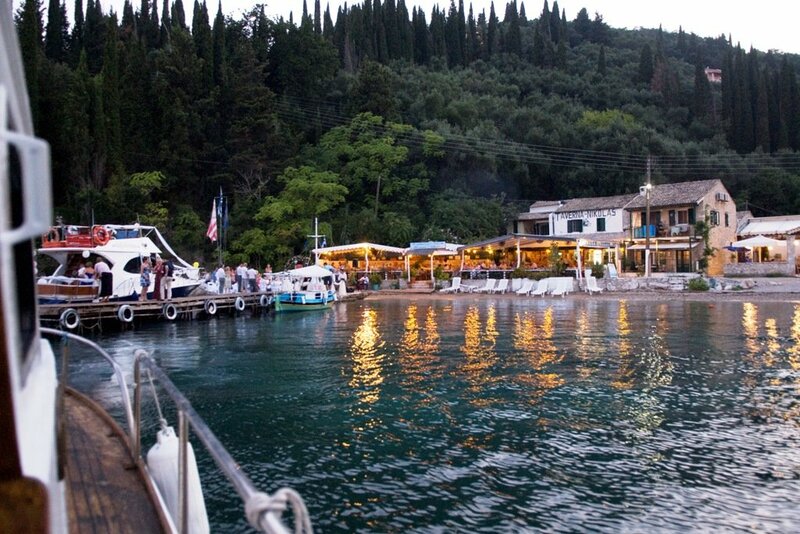 Nikolas Taverna, one of Corfu’s best loved and most frequented tavernas, invites you to a memorable journey of tastes. NIKOLAS Traditiional Taverna offers the perfect venue for hosting a great range of spectacular beach weddings that everyone will remember for a lifetime. 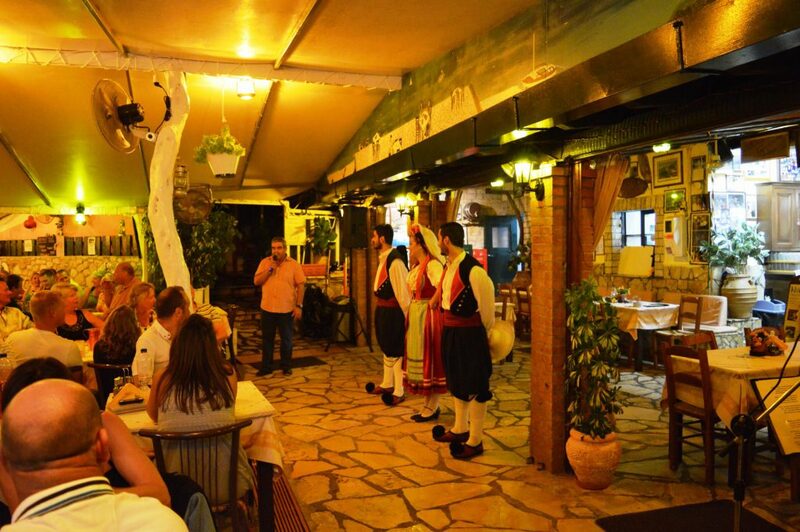 WELCOME TO NIKOLAS TRADITIONAL TAVERNA!! 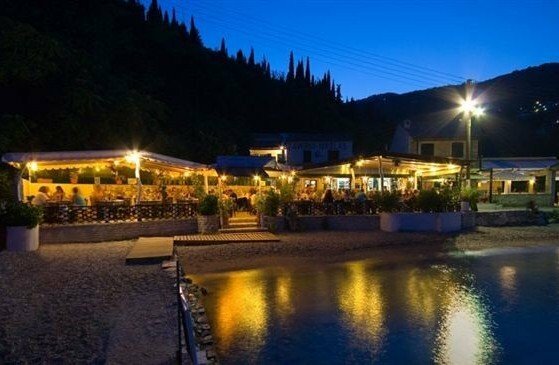 Perikles Katsaros and his family welcome new and old friends to Nikolas Taverna, one of the best loved and most frequented tavernas in Corfu. 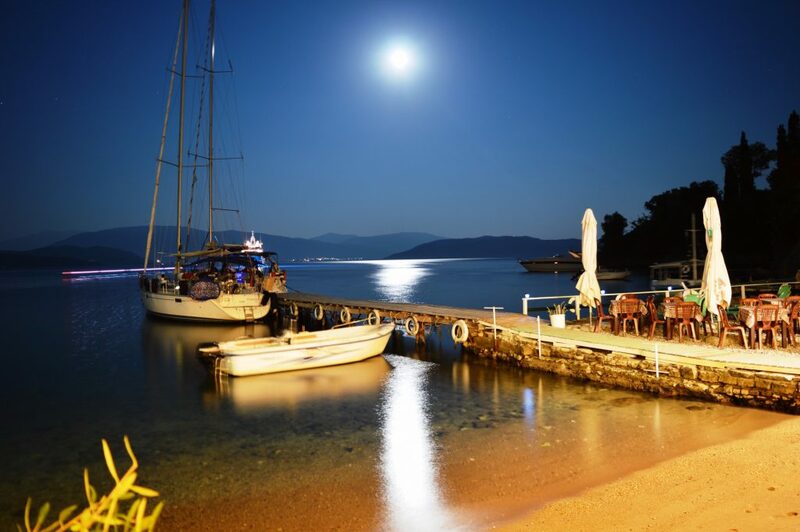 Set in an Idyllic place, privileged located in front of the sea, with the deep blue stretching out into the distance and boats bobbing in the foreground, Nikolas Taverna is an ideal place for your meal in a peaceful setting. 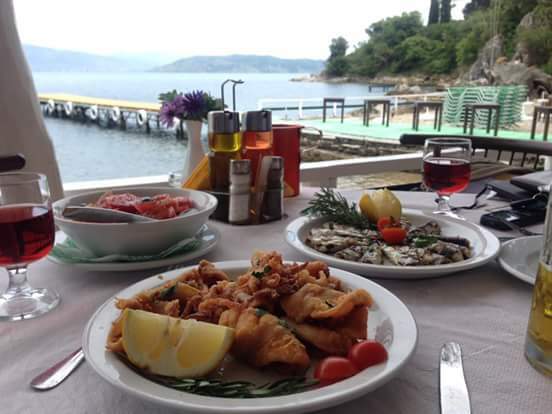 We invite you to Nikolas Taverna, to soak up the beauty and enjoy our inimitable recipes of freshly cooked Corfiot cuisine, our hospitality and the congenial atmosphere we have created for you in one of the island’s most picturesque bays. STILL: If you can’t “satiate your appetite” for the idyllic area and the hospitality of Nikolas Taverna, then join us and spend some unforgettable moments in the apartments close by the sea, owned by our family. Perikles and his family have a special “Greek Night” for their guests every Thursday. On these evenings they aim to re-create the spirit and atmosphere of the traditional village Festival (panigiri). Lovely restaurant with friendly staff. Very busy on the night we went but the food was good. My husband and daughter had steak, they both said how well it was cooked. I had fish that turned up with a head on which put’s me off, once the waiter who fuss free brought it back without the head it was delicious! When we go back this year we will book up for the Greek night. We visited Nikolas taverna again in July for the special Greek night,it is so much fun even if you have been a couple of times before,accept the hospitality and fun for what it is and enjoy,it’s set in a fabulous location and a real family run Taverna,successful by shear hard work and enthusiasm. Good luck in you venture in bringing your Greek night to Manchester,we will try and be there.Hope you know what Manchester is like in March. So good we ate here twice – once for lunch and once for the Greek dance evening. This is a fun place with a very charismatic owner. 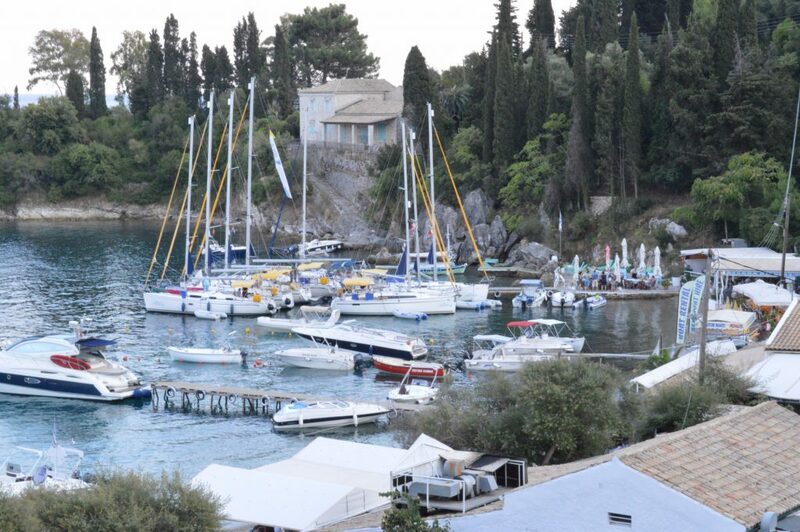 A fantastic location right on the beach being able to watch the boats come and go. And great food – lunch was the usual Greek fare but very tasty too. The dinner was lamb and chicken barbecue roasted on a spit – really tasty.